Why not let squirrels and other small animals capture themselves from unwanted areas' Safeguard Squirrel Controller Traps have mounting wings made to attach over the entry hole. A one-way gate lets gray, red, flying squirrels and other small animals easily exit, but prevents them from returning. It's that simple ! Safeguard Squirrel Controller Traps: When exclusion of squirrels in a structure is the preferred method of control, the use of one-way doors is a viable alternative to trapping. When used with our Controller Extenders, our Controller becomes a multi-squirrel trap that is mounted on the outside of the structure, eliminating the need for access to the attic. Remove squirrels from your building safely and easily with the Safeguard Live Squirrel Controller. This wire cage has four flaps that allow it to easily be mounted flush to a wall surrounding an entrance point for pesky squirrels. When the cage is mounted over the entrance, squirrels will not be able to return when they leave. Their weight is enough to push the angled door open, but it quickly falls shut behind them, blocking access. 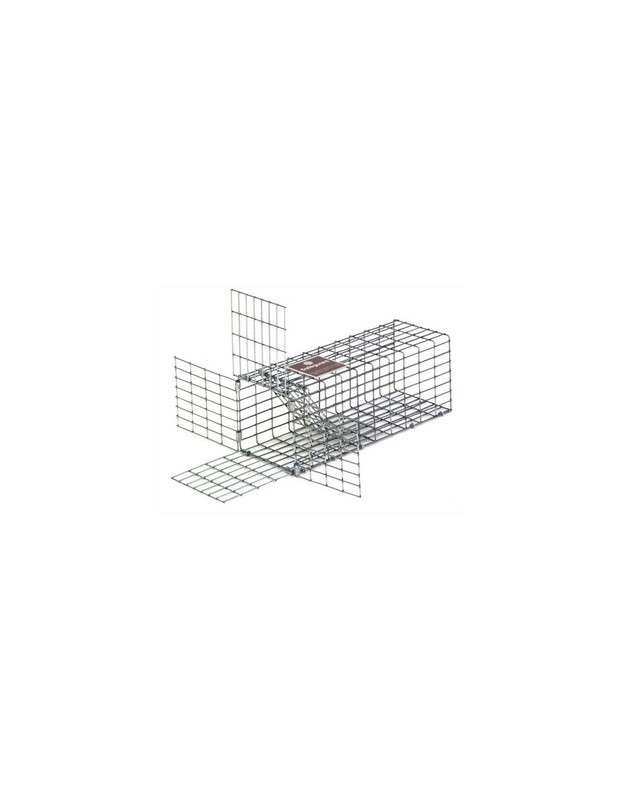 This durable cage is made from galvanized wire mesh for strength and resilience. Get rid of existing intruders and keep new ones out with the Live Squirrel Controller. Made in the USA. 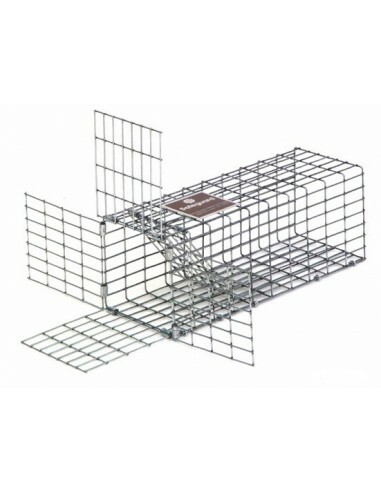 Safeguard animal traps are made with Galfan wire as opposed to common galvanized wire. Independent testing has shown that Galfan has a much higher corrosion resistance, resulting in a three-time longer life than traps made with common galvanized wire. Safeguard traps are manufactured with a heavy duty, re-enforced door, to provide maximum performance and superior animal retention. Safeguard's "Professional Series" line offers unique product features such as internal bait tray travel stop, sliding rear release door, 1/2 x 1" 14 gauge wire covering the entire trap floor to protect turf and surfaces, heavy duty galvanized bait tray, additional rod support rings and a heavy-duty door.